Posted on October 31, 2018 by Mike Sonnenberg Posted in Giveaways	. Thank you for following me. I wanted to give you all some candy, but that would be a little difficult. Instead, I am giving away a copy of Volume 2. post a comment on what your favorite candy is. Mine was taffy from the taffy store in Charlevoix, until it pulled the crown off my tooth this summer. Have a safe and happy Halloween good luck and may the odds be in your favor. Posted on October 30, 2018 by Mike Sonnenberg Posted in Forgotten Places, Haunted Places, Houses	. Narcissa Paige the owner of the Paige House hotel in St. Louis, built this mansion in 1884. Her contractor, Mr. Leach, built Col. Elwell’s “castle” down Delaware Street at the same time. you can see my post about it HERE I read somewhere that the tower on the house was built so Narcissa could see her hotel from it. Mrs. Page’s daughter Lillian lived with her, and she married George Charles who owned a drug store downtown. Sadly George passed away at an early age of 44, and soon after Lillian’s mother died at the age of 80 years old, leaving Lillian to live in the house alone for almost 50 years. People think there is a tombstone in front of the house, but it is actually a carriage stone with the name Paige on it. A carriage stone served as a stepping stone to help passengers as they climbed in and out of carriages. They were popular back in the horse and buggy days of the 19th century. If you like this, I hope you will share my post with your friends on social media or simply telling them about my website, your help would really mean a lot to me since Facebook seems to prefer me paying them to show my posts. Posted on October 29, 2018 by Mike Sonnenberg Posted in Haunted Places	. John Hirst built this extravagant hotel in 1891, and with over 25 trains a day stopping in the town of Holly where it still stands today it must have been a busy place. It was known as the Hirst Hotel until he sold it to Joseph P. Allen in 1912 who renamed it the Holly Hotel. About a year after Mr. Allen purchased the hotel, a devastating fire destroyed the upper floor. He rebuilt the hotel with some changes to the roof because of the fire. After decades of guests, Prohibition and the Great Depression, the hotel suffered another fire in 1978 exactly 65 years to the day from the first fire on January 19th. The remains of the hotel faced a date with the wrecking ball but instead, it was painstakingly restored to its 19th-century glory. 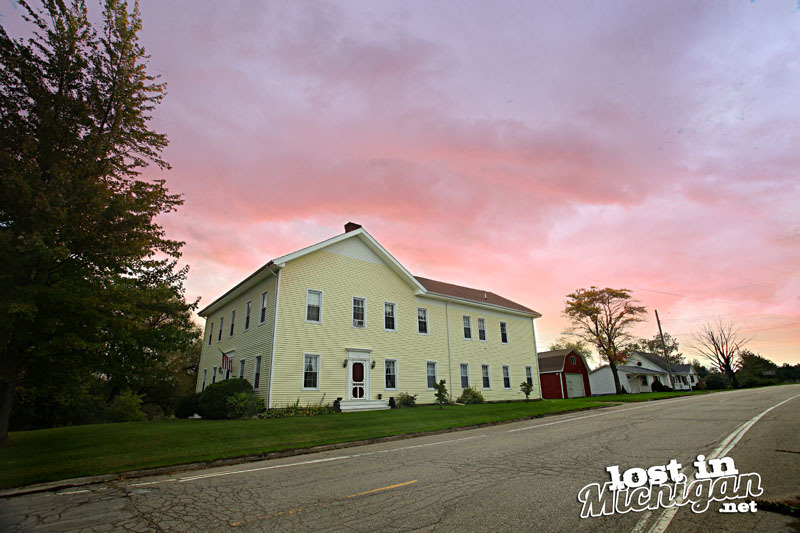 It has the distinction of being one of the few buildings in Michigan that has been serving food in three different centuries. Employes and guests to the hotel have said that you smell cigar smoke before seeing apparitions of a man in a top hat. It’s believed to be the ghost of Mr. Hirst who was known to smoke cigars. He is not seen very often, but on many occasions, his laughter can be heard in different locations around the hotel. A former hostess of the hotel, Nora Kane’s spirit can be heard singing along with the smell of her perfume. I am not sure if you will see a ghost at the old hotel, but it is worth a trip to Holly. It’s a beautiful downtown with old historic buildings, lovely shops, and restaurants. 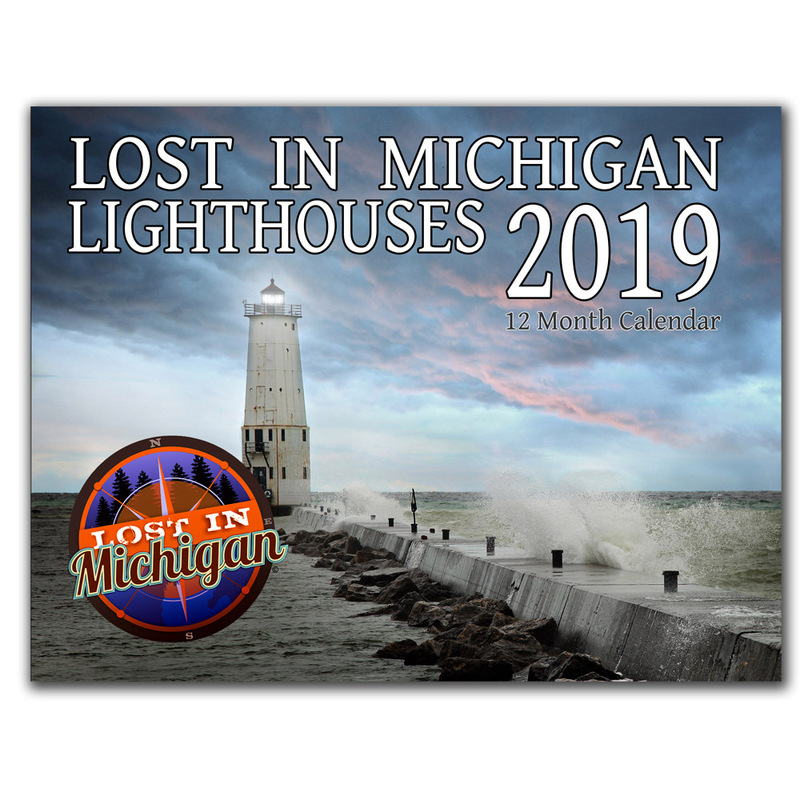 Congratulations to Karen Fairbanks she is the winner of the Lighthouse calendar giveaway. Please email me mike@huronphoto.com with your shipping info. Thank you to everyone who commented. It was interesting reading your comments, so many good restaurants and many I have never been to. I will have to try some of them. Posted on October 28, 2018 by Mike Sonnenberg Posted in Forgotten Places, Houses	. On some of my trips, I like to have a few locations to visit since I am a long ways from home. I want to be sure to have pics I can post. Of course, the logical route would be to take the main road and go directly to what I want to see. On my way to the Octagon School in Lake County, I decided to take the long way and avoid US-10. I had a feeling I would find something interesting, and I headed north for a while. then I decided to take a right turn and head east. As I drove down the road I saw this old house in a clump of dead looking trees. It looked really creepy since the other trees in the area were still green. I thought the old farmhouse looked like it had been mummified with it’s dark brown and weathered wood. Like an architectural version of the Tullund Man. I have no idea of how I manage to find some of the places I come across. I just wonder in a direction and it somehow happens, as if there is a mysterious force that is showing me the way. A lot of old abandoned and forgotten places I have photographed have been torn down. I feel like it’s important to photograph these places so we will remember the tough times and the good days that these places have seen. I don’t trespass or explore these old houses. I try to research some history of these locations, but when I looked at some old plat maps for this house I did not see any nearby towns. It must have belonged to a hard-working family who lived way outside of town and farmed the land. Congratulations to Nicole Wiggins she is the winner of the Dam Calendar giveaway on Facebook. 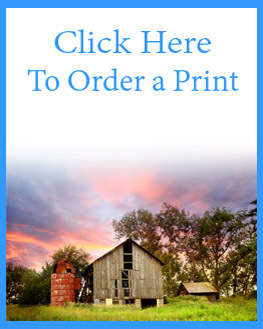 please email me mike@huronphoto.com with your shipping info and I will send out your calendar. Posted on October 28, 2018 by Mike Sonnenberg Posted in Giveaways	. I am doing a calendar giveaway for my loyal readers. Thank you all so much for taking the time to read my posts. Your kindness and support really mean a lot to me. I wish I could send you each a gift, but I will send one lucky winner a Lighthouse wall calendar. 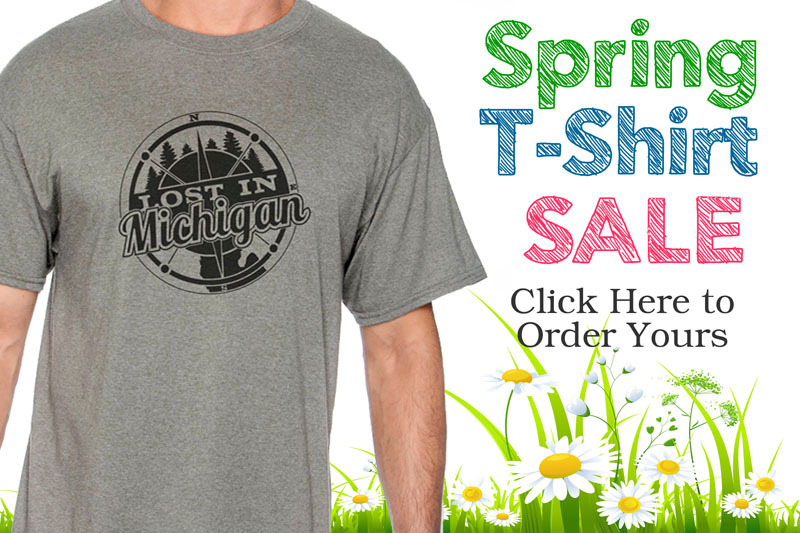 Post a comment below on what your favorite restaurant is in Michigan and I will pick a winner at random from the comments. I will post the name of the winner Monday night October 29th in my post. I am not sure what the post will be about yet so be sure to look for it. If you want to make sure you won’t miss it, or any new posts, be sure to subscribe to email updates to get notifications. Posted on October 27, 2018 by Mike Sonnenberg Posted in Historic Places, Thumb	. In the late 1800s, the town of Forester was a booming lumber town. Located on Lake Huron, ships would tie up at the docks that stretched out into the lake and load their holds full of timber. 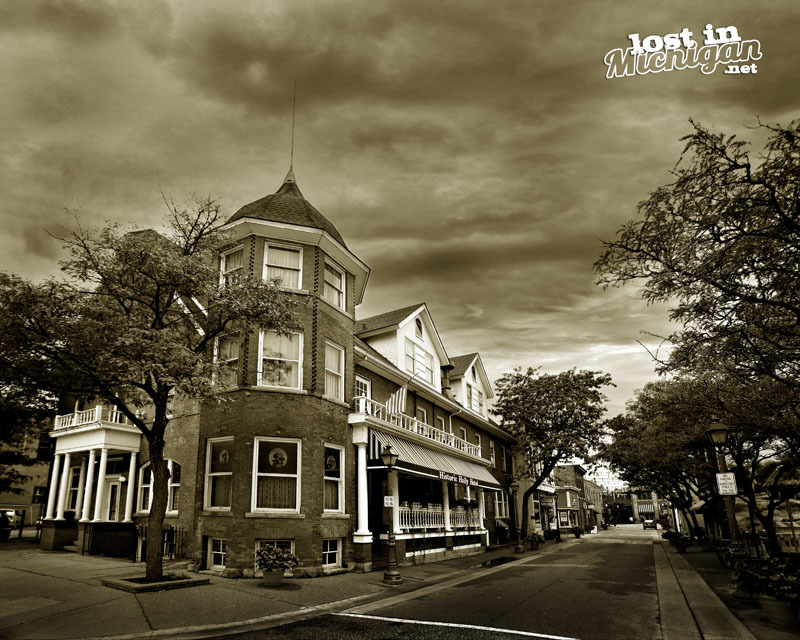 The town had three hotels and one of them was built by George Tanner in 1871. The significance of the year 1871 is that is the year of the Great Fire. I am wondering if he built it knowing many people were homeless. 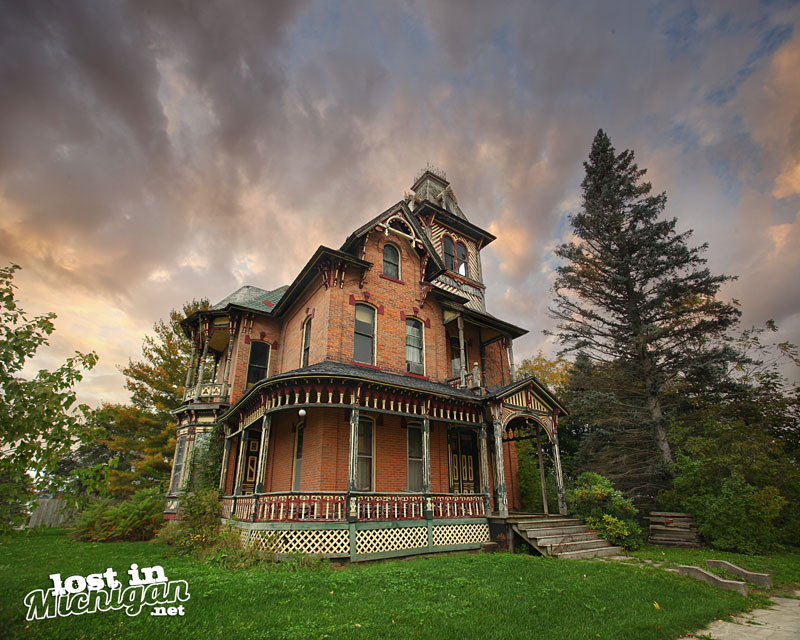 Known as the Tanner House, it still stands today on the corner of M-25 and Forester Road. After the timber was cut down the town slowly declined. The sawmills and most of the residents moved away. In the 1930’s it has been said that the old hotel was used as a “blind pig” during prohibition. I Imagine there were some crazy nights at the old hotel with illegal booze flowing, and I can only wonder what was going on upstairs. It’s privately owned today, and the owners have done a nice job of renovating it. 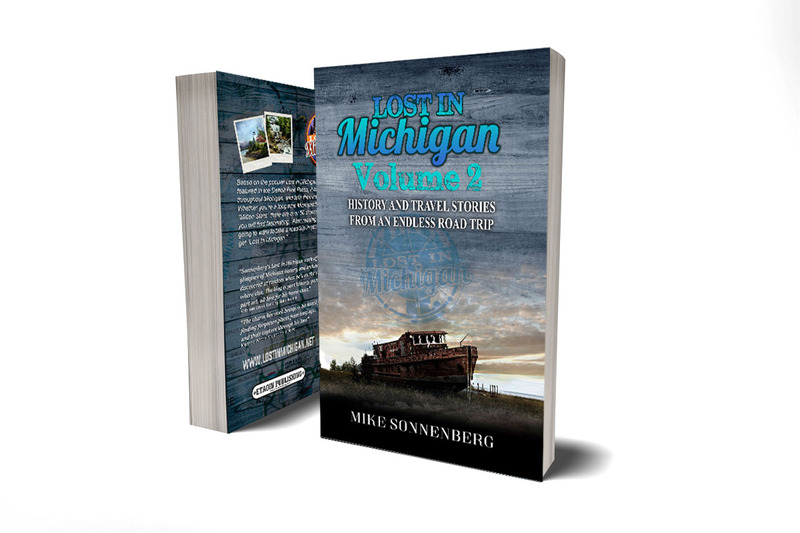 Next time you are traveling down M-25 and you see a big old house in Forester now you will know a little bit of its history. Posted on October 26, 2018 by Mike Sonnenberg Posted in Library	. 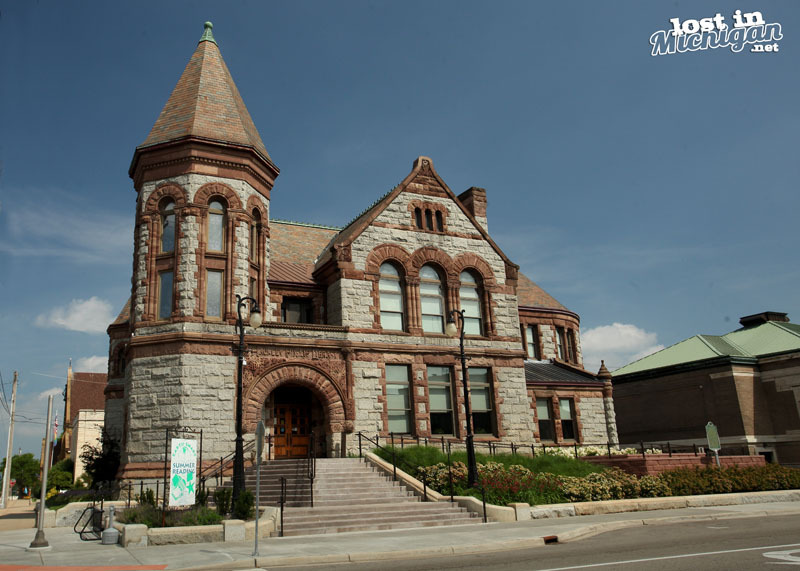 On May 25, 1888, Muskegon lumber baron Charles H. Hackley announced that he would donate a library to the city. Hackley stipulated that the facility be “forever maintained as a library.” Patton and Fisher of Chicago, one of the six firms invited to submit a plan for the library designed a Richardsonian Romanesque – style building. The library was constructed of Maine granite and trimmed with Marquette sandstone. The reading room windows depict Shakespeare, Goethe, Longfellow and Prescott. Muskegon citizens celebrated the laying of the Hackley Public Library cornerstone on May 25, 1889, the anniversary of Charles Hackley’s donation of the library. It was the first annual celebration held in recognition of Hackley. The previous year the board of education had resolved that classes would be suspended annually on May 25 on Hackley’s honor. On October 15, 1890, the completed library was dedicated. The lot, building and furnishings amounted to a $175,000 gift. Posted on October 26, 2018 by Mike Sonnenberg Posted in Forgotten Places	. 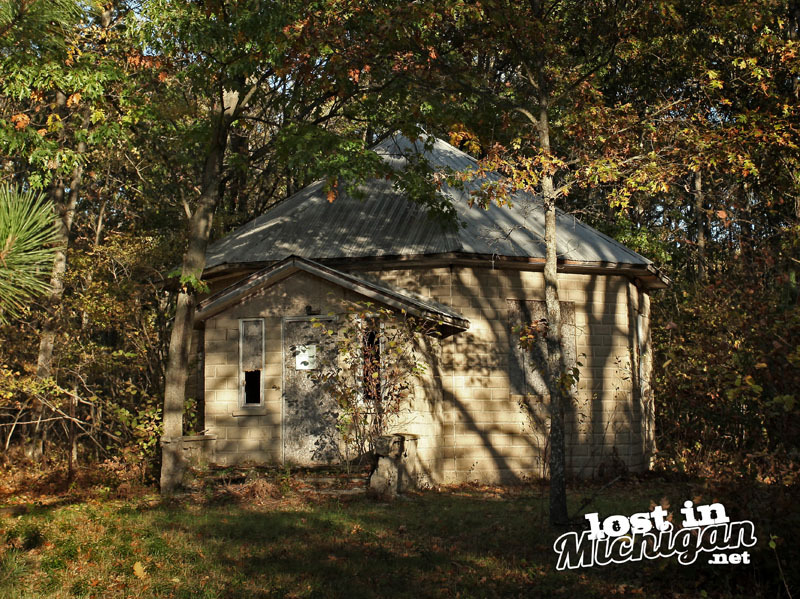 Off the road, slowly being consumed by the forest in Sauble Township, in Lake County is an old octagon shaped block building. I saw one website that had it listed as a schoolhouse, but I am not sure it was at one time. I looked on an old plat map and it did not show a school at its location. A piece of plywood covers the brickwork above the door where a school name usually would be. From the research that I did, I found out that it was not uncommon to build an octagon school. They were especially popular in the late 1800s in the New England area, and many are found in Pennsylvania. I did not go up to it and explore since there were several signs that said trespassing prosecutors would be violated (yeah I know what I just wrote and I think it sounded better that way). The signs surrounded the property of a lake association and this building sits near the entrance. I am also wondering if it was built as an office for the association. If you have any idea of what this old building was or is I would love to know. Feel free to leave a comment. Posted on October 25, 2018 by Mike Sonnenberg Posted in Haunted Places	. 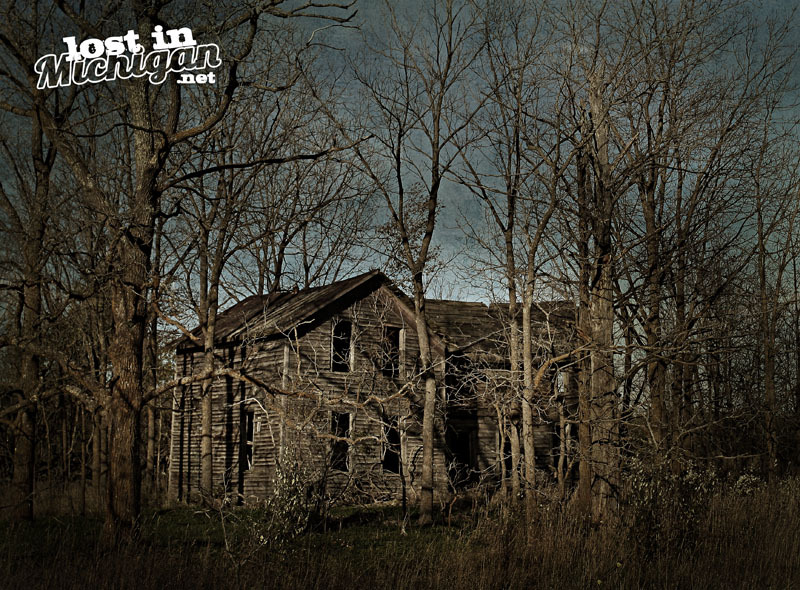 The current owners of the Achor Inn, located near the lake in Houghton Lake, have seen spirits and many unusual things like hearing footsteps when no one else is around, doors mysteriously slamming, and faucets turning off and on by themselves. Many customers have also seen strange things while dining in the historic restaurant. The building dates back to over a century ago when lumberjacks worked in the forest in central Michigan. It was built as a hotel, and I can imagine over the years it has had some tragic events happen in its rooms. 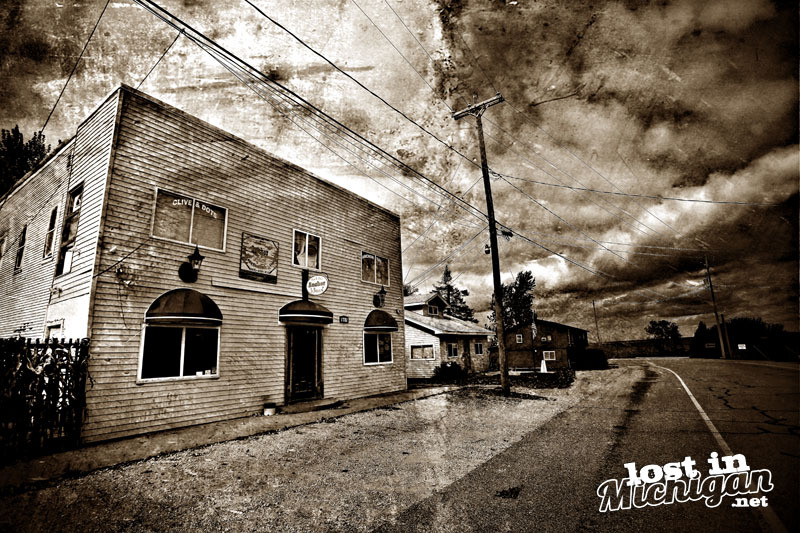 Local legend has it that Al Capone and the Purple Gang visited the establishment several times. During the prohibition era, the old hotel was also used as a brothel. Now it’s a restaurant and still welcomes customers to come in and possibly experience a paranormal event while they are there. Posted on October 24, 2018 by Mike Sonnenberg Posted in Barns and Farms	. 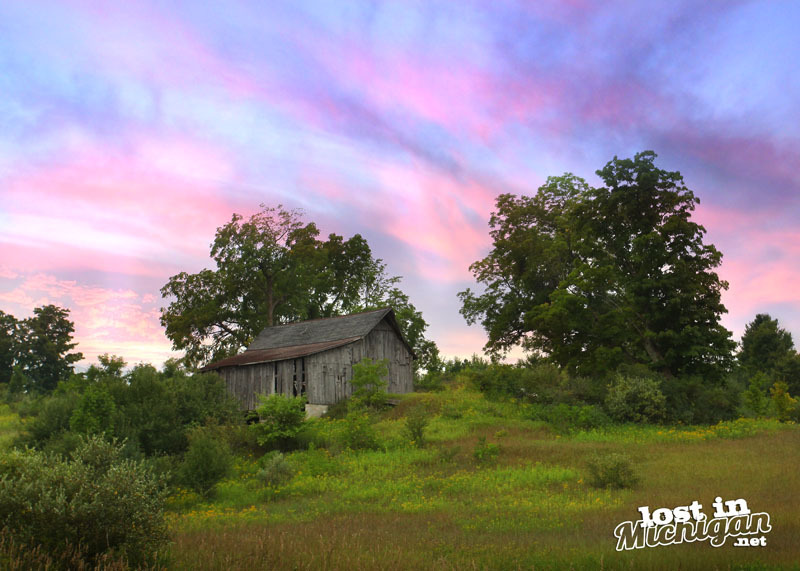 I saw this old barn up on a hill in the middle of the Leelanau Peninsula. I had to stop and take a pic because who doesn’t love an old barn. Don’t ask me where it’s located. I had been driving for a while crisscrossing the Leelanau Peninsula, and I am not sure where I was at when I took this pic. I have a question for you. what do you think about me posting more than once a day? I have been limiting my posts to one a day since I don’t want to be sending you to many emails and you getting annoyed with me. I have taken a lot of photos in the past few months, and have tons of pics to show you and stories to tell. What do you think if I post twice a day a few times a week? Please comment below.